features high quality unigue gifts. Featuring exclusive & licensed artwork from the worlds leading artists including Anne Stokes, Lisa Parker, Amanda Clark and amongst others. 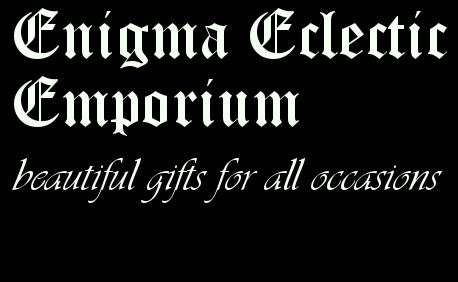 Themes featured on Enigma Eclectic Emporium range explore the realms of fantasy gifts, dragons collectables, witchcraft tools & book of shadows, wiccan accessories, unicorns gifts, gothic collectables gifts much more.